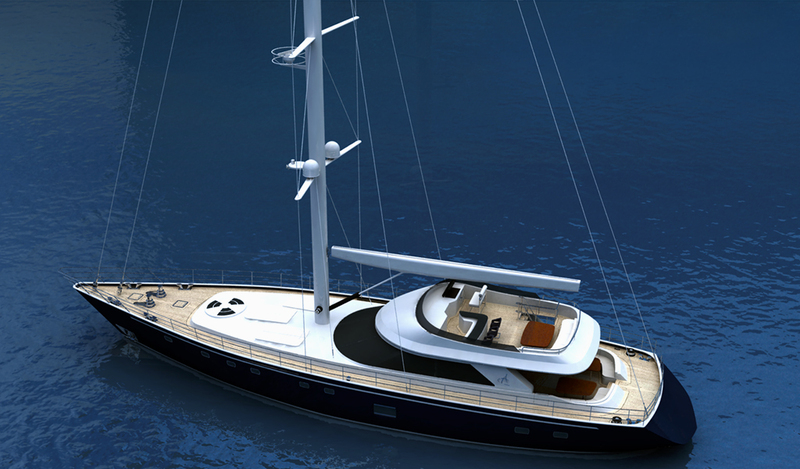 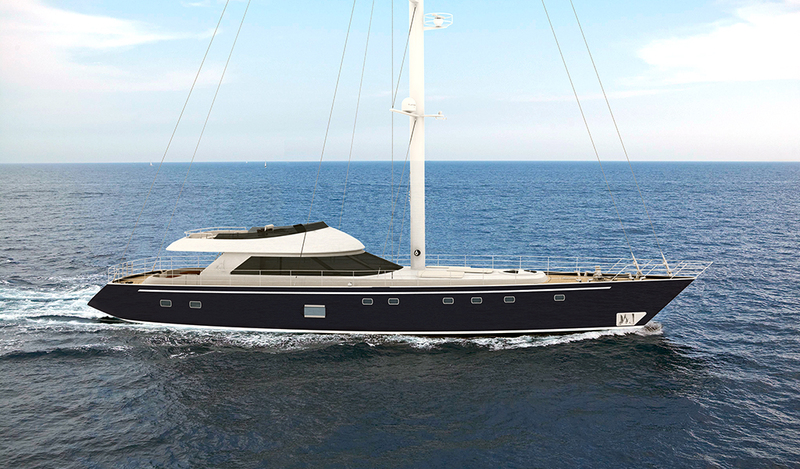 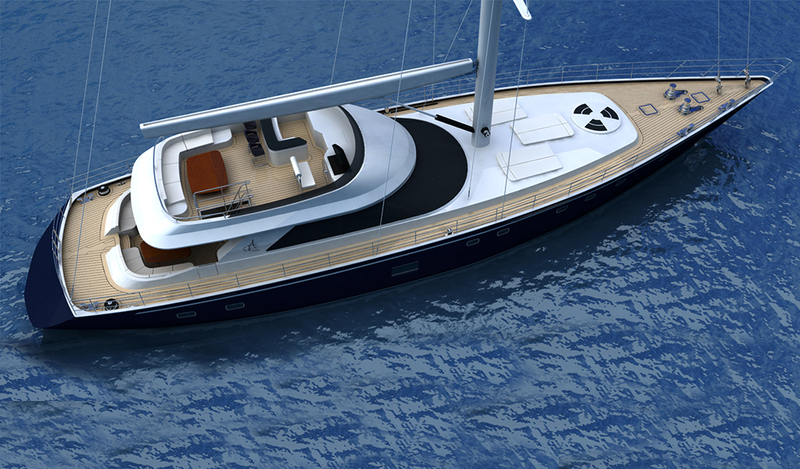 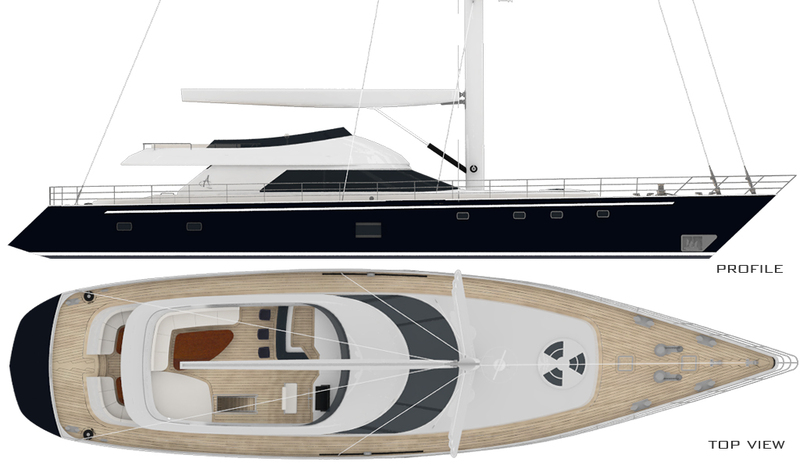 The project is a 30.5m modern one-mast sailing yacht concept with flybridge. 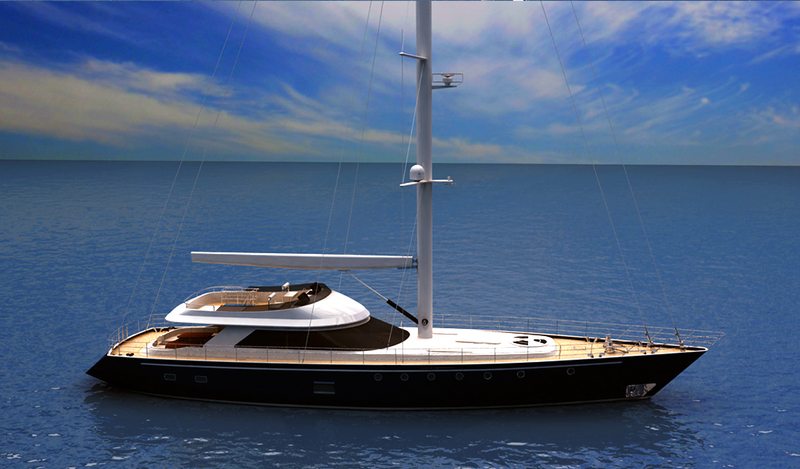 She has an elegant look with her plain, simple lines and sleek sheer. 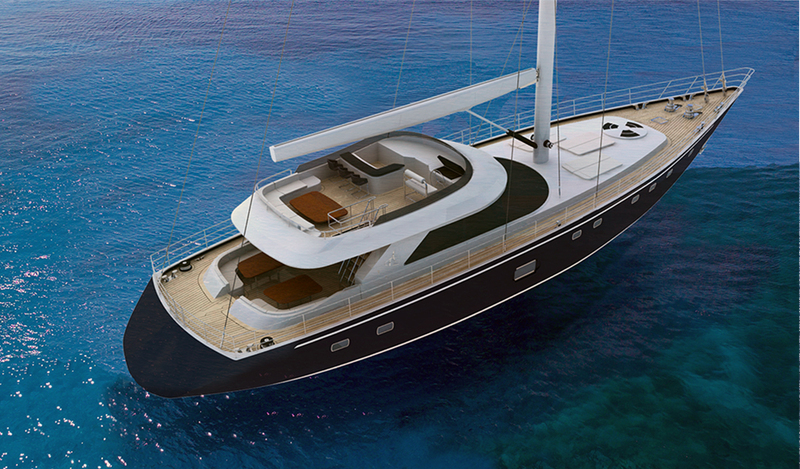 An impressive skylight is located on fore master suite. 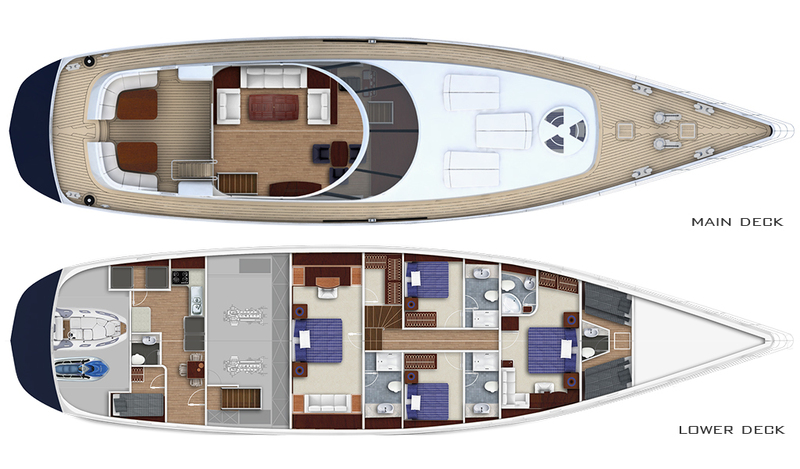 She can accommodate 8 guests in 2 master and 2 guest cabins.